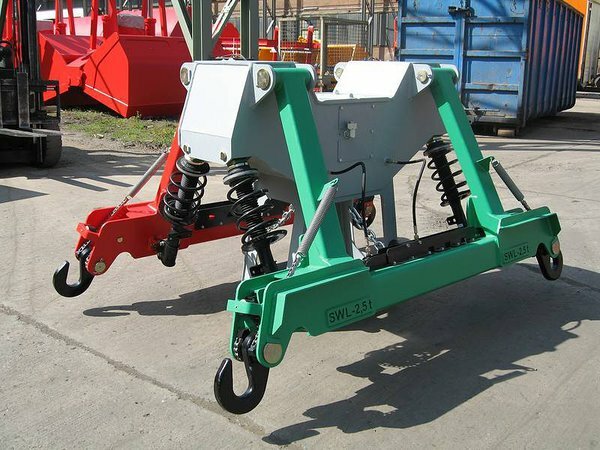 • The robust hydraulic orange-peel grabs are perfectly suited to handle scrap, waste, rocks or recycling material. The individually driven tines, that feature either an open, semi-open ore closed design, adapt perfectly to the material to be handled. The basic units are also available with different additional collision protection devices to withstand external impacts. • The hydraulic dual-scoop grab suits any mobile excavator. Such grabs are available with one-piece traverse, with locking pin system or with flange-on system to ensure quick replacement of the shells. 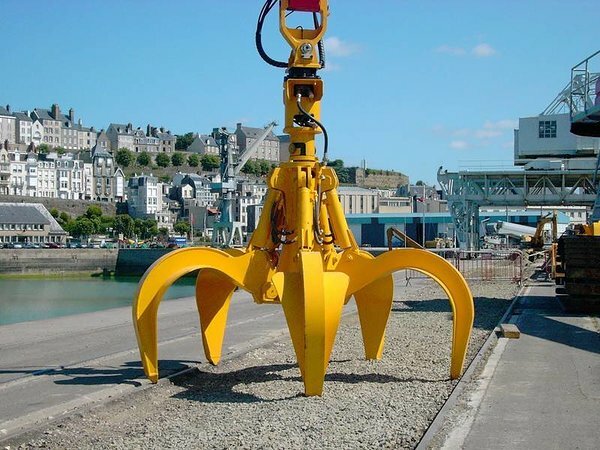 The robust large-volume bulk grabs, that are suitable for any type of handling appliance, are ideal attachments for a large variety of applications such as ship loading and unloading. 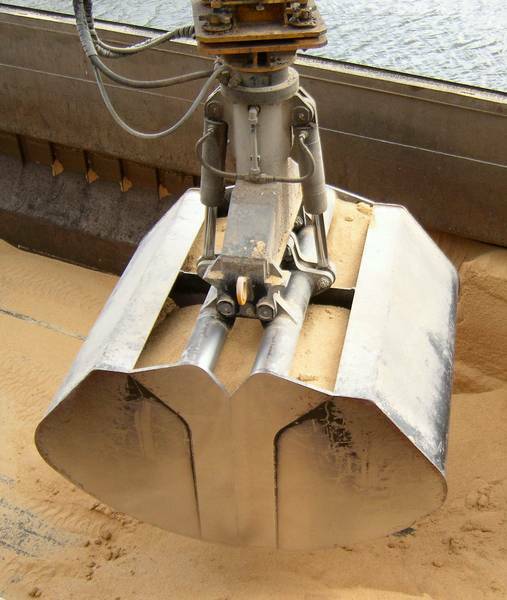 • The tightly clamping devices of this product series feature an increased slewing angle to enable one single grab to capture individual logs for example from corners of wagons as well as to hold to individual logs with small diameters securely. 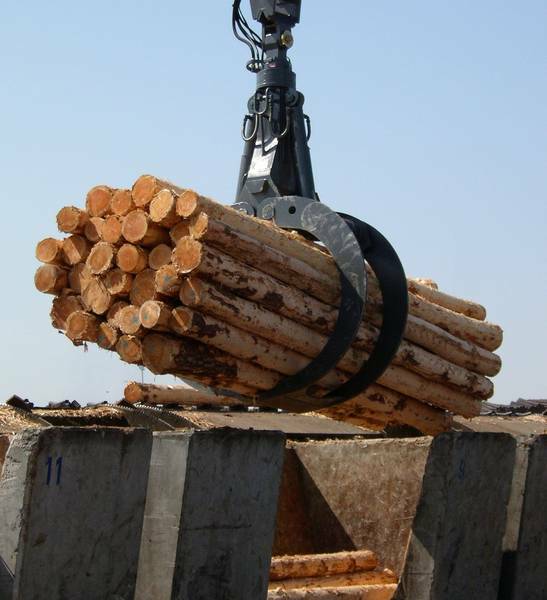 • Timber grabs with integrated leaf chain for bulk handling, e. g. in sawmills, complete the vast grab range.